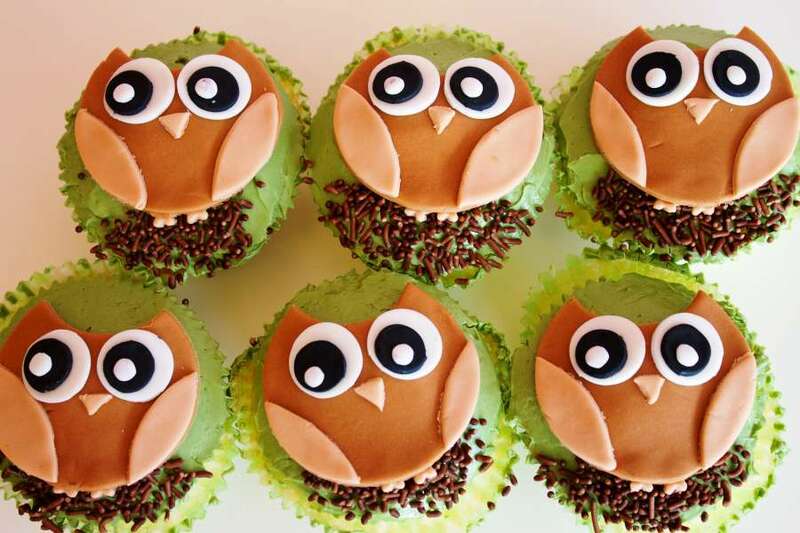 10 Owl Cupcakes To Make At Any Occasion! Are you an animal lover? 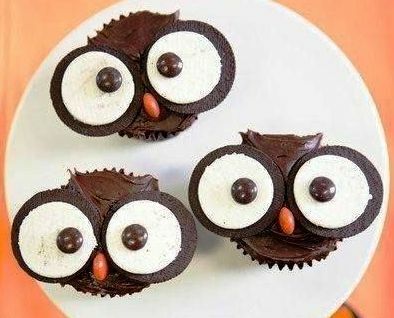 Then you will definitely love these adorable owl cupcakes to make for any occasion at your house. Owls are mysterious and alluring but they are also cute and adorable. With a pair of big eyes, it seems like they are looking at your with innocence! 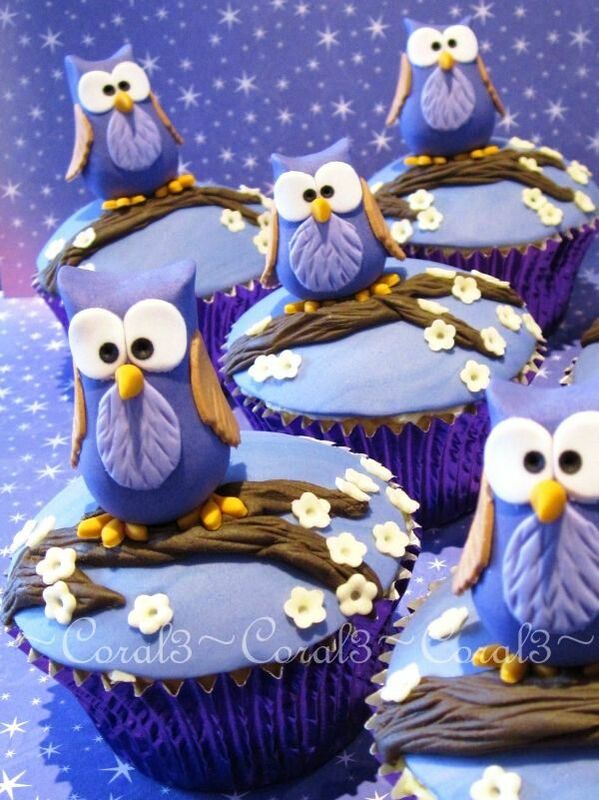 Owls are a popular choice to add as cake or cupcake decorating. They are also pretty good choice for birthdays, anniversaries, baby showers, weddings or any other occasions. 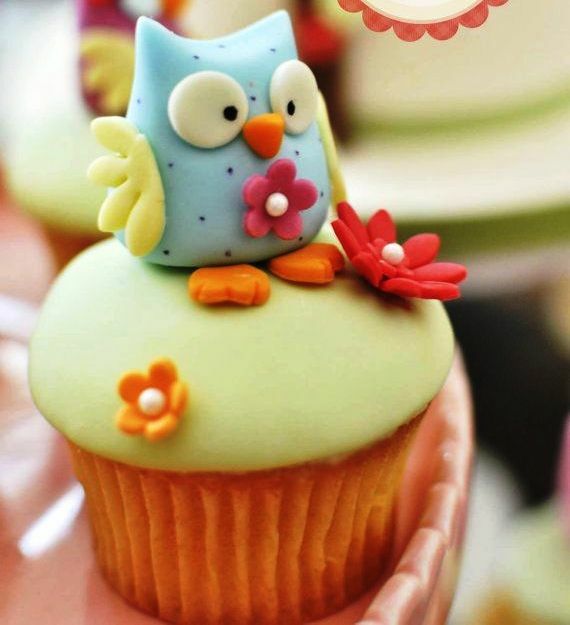 You can have owl cake decorating by using the fondants or by adding cake toppers on the top of the cakes. The same thing applies for cupcakes. 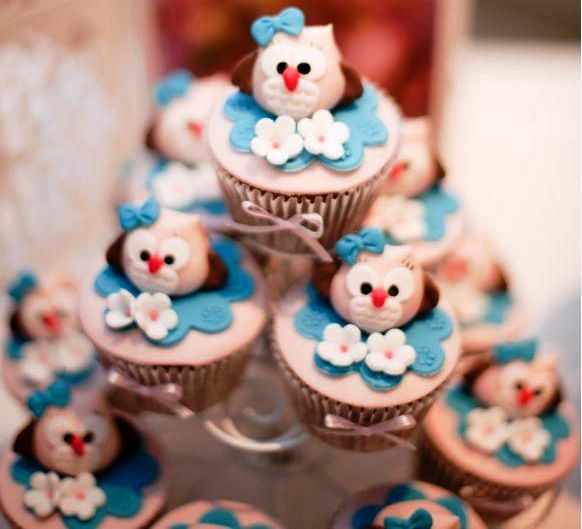 Though there will be lest options for cupcakes as there are not enough space but still you can make very cute designs. When you are going to make a batch of cupcakes, you will have to select the colors and the flavors you are going to add for your cupcakes. For example, you can make them in chocolate or vanilla flavors. Try to alternate the flavors in the cupcake and the frosting which will make it really delicious. You can use vanilla frosting for a chocolate cupcake and vice versa. The large eyes of the owl will give a cartoonish appearance so it is also a perfect choice to make some for your kids and they will really love them! Choose their favorite colors to decorate the owl. 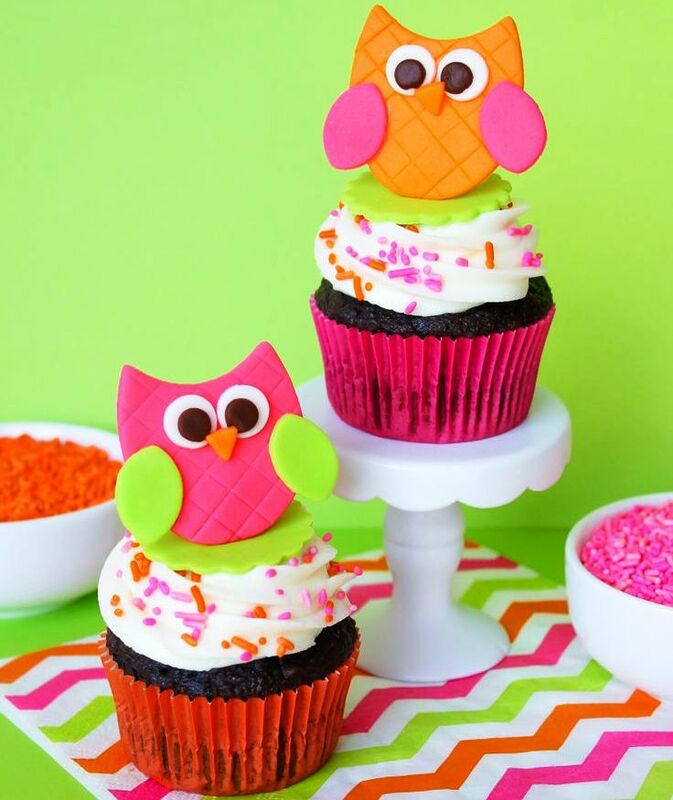 To make some owl cupcakes for your daughter’s birthday, you can choose pink and relevant shades. If you are making some for Christmas then you can go with green, red and white. 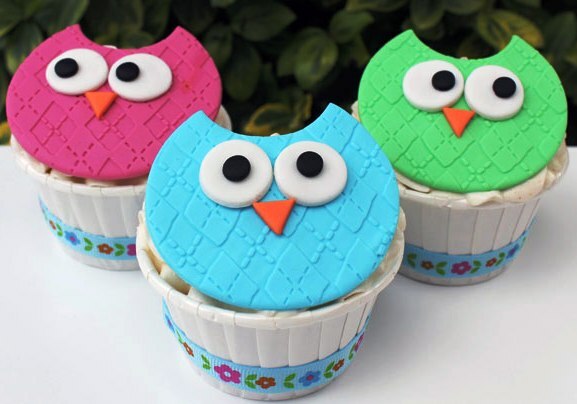 If you want to make some 3d owls as toppers of your cupcakes, that would be really cool but for the beginners, it would be better to start with a simple design. For a basic design, you are going to need a deep muffin pan, 12 baking cups, piping bag with a Wilton 2d nozzle, rolling pin, drying sponge, sharp knife, cuttlebug argyle embossing mat and 65, 30, 20, 5 mm circle cutters. At first, you have to make a batch of basic cupcakes with your favorite flavor and frost the cake with buttercream. On a day before, prepare the fondants with the required colors that you are going to need for your decoration. Next, you have to make the toppers by rolling out the coloured modeling past and then embossing them using the argyle mat if you are using one. You can also keep it plain and simple if you want. Now cut 12x65mm circles by using the 30mm cutter where you have to cut a section from the top of each of the heads and then make the eyes by cutting 24x20mm circles from the white fondant. Stick them on with a brush of water and then cut 24x5mm circles from the black fondant for the pupils and also stick them on with a dot of water. To add the beaks, roll out the orange fondant and use a sharp knife to cut tiny triangles and add a brush of water to stick them under the eyes. Leave these toppers to dry overnight. It is not necessary that you have to make them all in same color. Instead, try to make different colored owls to make them look beautiful! Bake the cakes and frost them on the day you are going to serve them. Place the finished toppers onto them. The toppers will get stuck with the buttercream frosting. You can add sprinkles if you are willing to have some. 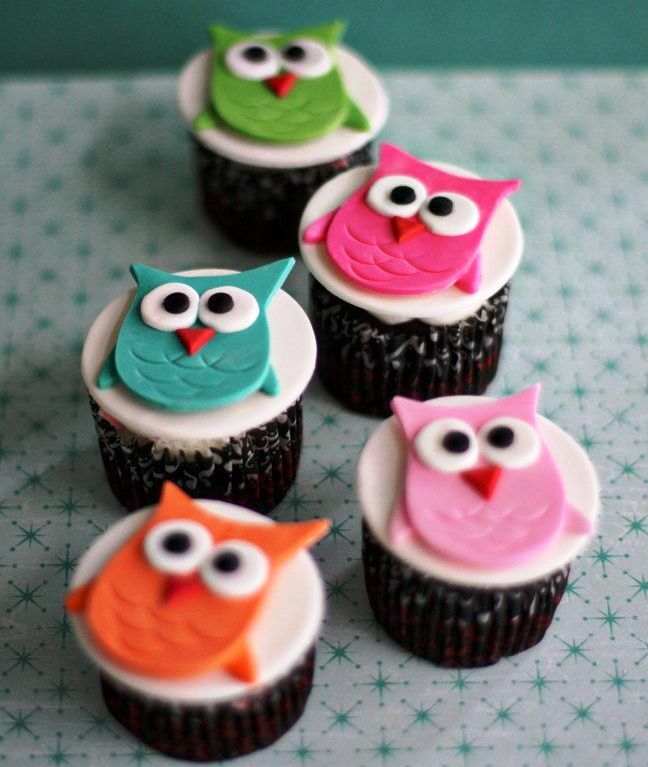 Place all the owl cupcakes on a serving dish to serve. They will be great for any picnic or movie night as well. 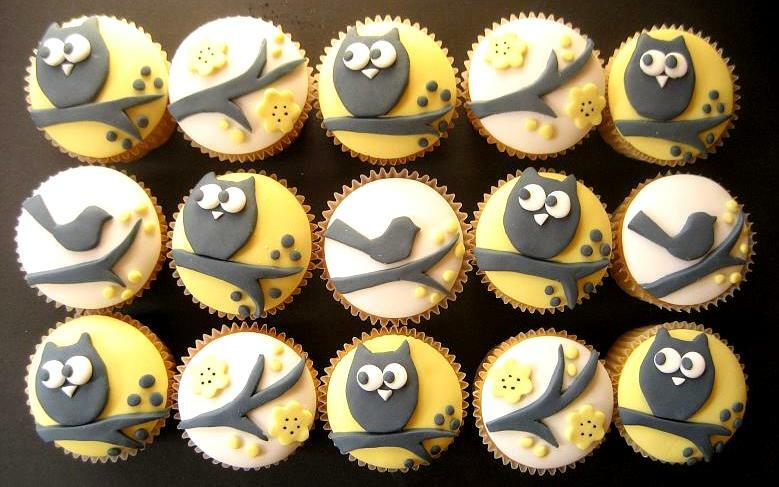 Have you selected any design to go with for making owl cupcakes? Which design did you select?